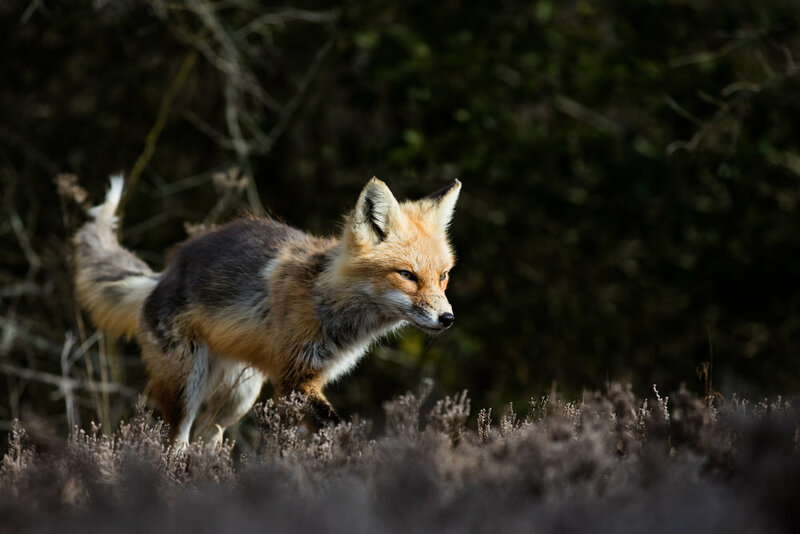 Hidden in a place you would never think to look, New Jersey features one of the top places in the world to view and photograph Red Fox. Situated in a unique one- of- a- kind area, the backdrop features an unmatched sandy beach as well as a lush forest with open vegetation. 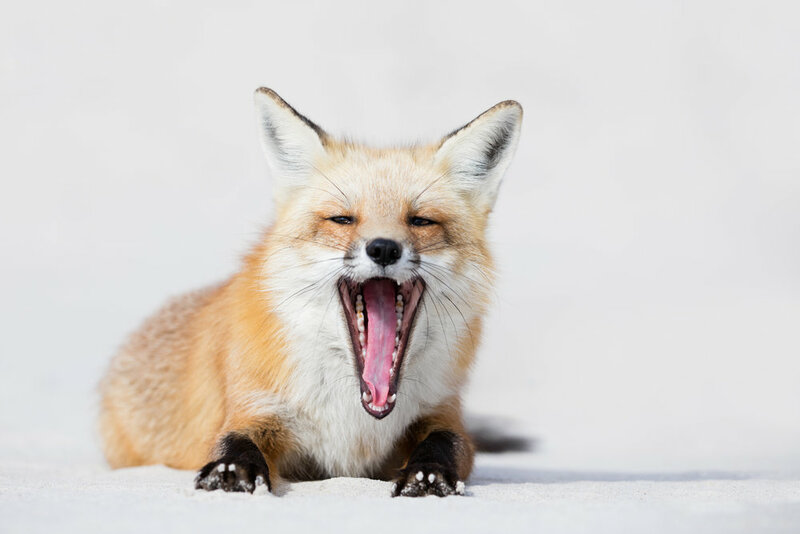 New Jersey Red Fox Location competes for one of the best locations boasting a high concentration of fox in an area where they are extremely tolerant to photographers. 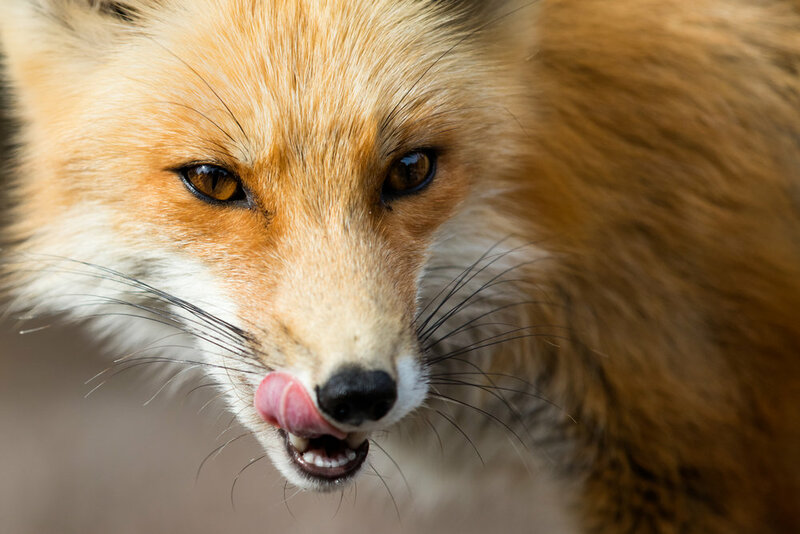 Taking a trip with us to see the Red Fox in New Jersey will provide you with an experience you will get nowhere else. 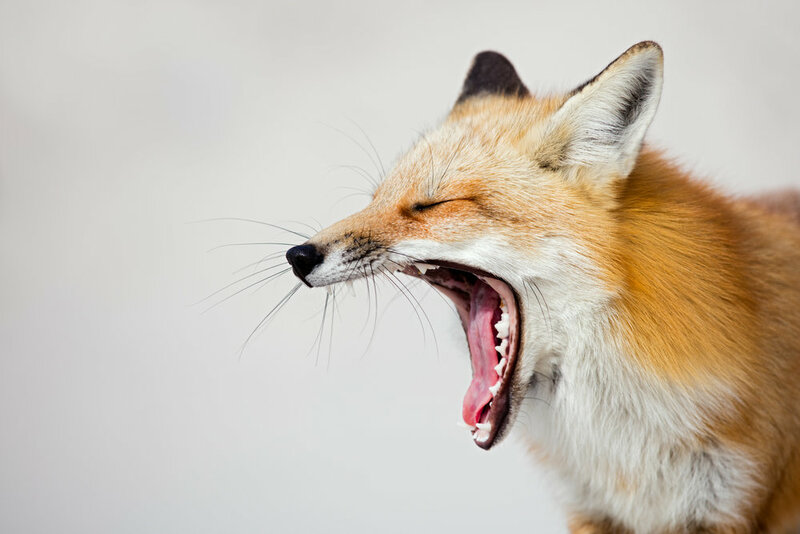 Unlike other locations, the Red Fox are not scared of humans. Their confidence around humans allows for unique close encounters, and sometimes they will even sleep next to you. Because of their comfort around people and personality, we are able to guide you extremely close allowing for unique photos captured with lenses as short as 70mm. We are the sole tour operator that guides Red Fox photography tours in this vastly unknown hotspot providing you with an exclusive experience you will never forget personally or photographically. We give you a front row seat to watch each personality a Red Fox has and the memories gained will be with you forever. Join us on a trip of a lifetime to photograph Red Fox with a guide, Thomas, who has years of local knowledge and knows the area thoroughly. Our itinerary maximizes your time in the field and makes sure you get the experience and photographs of your dreams. We will pick you up, depending on your flight arival time, typically around noon from Newark Liberty International Airport to be transported to your hotel. After droping your bags off we will drive to the Red Fox location for an afternoon session. Before the sun rises, we will leave the hotel around 6:00AM to ensure an early arrival. Depending on snow conditions, we may have to leave the hotel earlier to ensure an arival prior to sunrise. We will have three full days in the field to focus on Red Fox. With a total field time of three and a half days this increases you liklihood of experiencing different weather conditions from sunshine to snowstorms. After the morning session, we will have a midday break from 11:00AM-12:00PM for lunch. Because the sun never gets high in the sky, we will continue photographing owls after lunch. After photographing during sunset and ariving back to the hotel around 6PM, there is optional Adobe Lightroom and Photoshop classes offered.